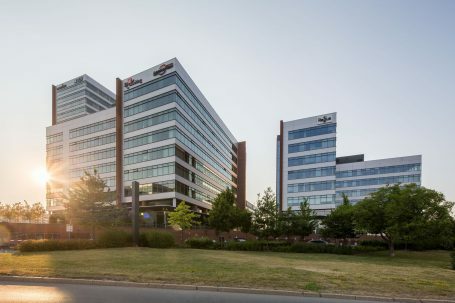 Portland Trust, a commercial real estate developer and asset manager headquartered in Prague, has recently concluded the lease renewal of more than 4,200m2 of office space at its recently acquired Coral Office Park in Nové Butovice, Prague. The tenants who have agreed lease renewals include Antalis, the leading European distributor of paper, packaging and visual communications products; Cofidis, the European financial group; Axis Communication, the innovations leader in network video; and the Japanese trading company DJK Europe. Showmax, the online provider of movies and television shows, has renewed and expanded its lease to 920m2. Additionally, new leases were signed with PPM Factum, the Czech marketing company leased 1,140m2, and Beko, the Czech division of a global white goods manufacturer, has taken over BMW’s space of 1,000m2 on the ground floor to use as a showroom and regional headquarters. Colliers International acted for BMW and JLL introduced Beko. “We are really pleased with the rate of lease renewals and the quality of the new tenants, which supports our decision to acquire and refurbish the office complex and further underlines our belief in the potential of Coral Office Park to become a key asset in our portfolio,” said Leasing Manager Judita Middleton. Portland Trust and its long-term joint venture partner ARES Management acquired the former Office Park Nové Butovice as it saw the potential to upgrade, rebrand and reposition the asset. The 36,000 m2 office complex includes one of Prague´s few high rise buildings, Building D, which has stunning views over Prague. ”The quality and location are essentially institutional and with some focussed attention to the common areas and tenant management it will compete well in the Prague 5 market”, said Managing Director Robert Neale. Rebranding it Coral Office Park, Portland has embarked on a major refurbishment, which will include the creation of a large garden and seating area in the centre of the four office buildings, extension of the restaurant, installation of LED lighting throughout, new entrance lobbies, electric car charging points, changing rooms for cyclists and full signage rebranding.